How to end a book. . Wallpaper and background images in the Гарри Поттер против Сумерек club. No It's true dat home dawg! In Twilight everything is perfect. In Harry Potter all is well. 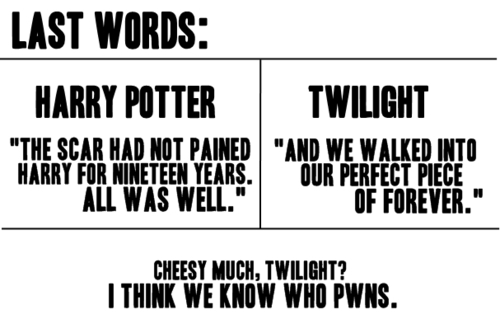 At least the Harry Potter part is true. A literal forever is quite different from the typical or "cheesy" forever.